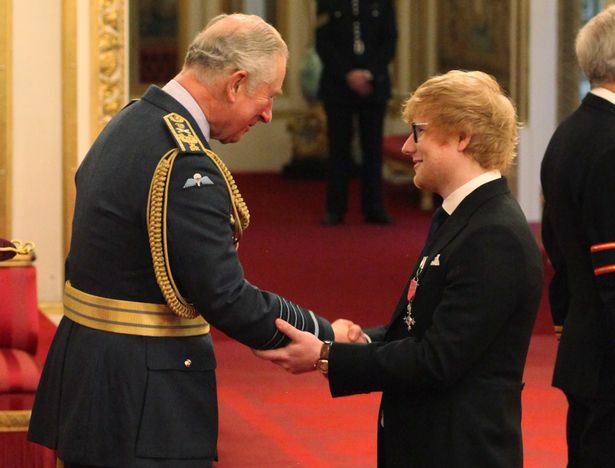 Ed Sheeran was made a Member of the Order of the British Empire by Prince Charles at an Admission Ceremony at Buckingham Palace. The Shape of You singer was bestowed the MBE honor for his services to music and charity, after it was announced he was the highest streamed Spotify artist this year. While picking up his badge from the Prince of Wales during the 2017 Birthday Honors, he also put his hand up for the royal wedding – letting people know he was free should Prince Harry and Meghan Markle be in need of a performer at their May nuptials at Windsor Palace.